If you’re sick and tired of not being able to breathe comfortably, there’s just one thing you need to know. We can correct nasal airway obstructions with surgery. You can breathe normally. Everyone experiences nasal congestion from time to time, thanks mostly to colds or allergies. These problems typically go away on their own, or we can take medications to relieve the symptoms. However, chronic moderate to severe difficulty breathing is something else entirely. It doesn’t go away, and over time it can get worse. In order to make effective repairs, it is necessary to first understand exactly what is causing your breathing problems. But once proper corrections are made to open your airways, you can say goodbye to snuffling, snoring, and feeling like you just can’t quite get enough air in through your nose. What a relief! Chances are good that you have already done some research to learn more about your nose and how a “nose job” might help you. But it’s a complex topic. The information below will answer many of your questions about why you’re having trouble breathing and what nasal airway surgery is all about. You may also uncover some new questions you want to ask before making a decision to have surgery. Nasal valve collapse (and other problems) can occur on just one side of your nose, or both sides. Your nostrils are not straight “pipes” inside your nose. Instead, there is a complex system of passageways and protrusions that work to filter, warm, and moisturize air as you inhale. As you breathe in, that creates negative pressure inside the nostrils. (If you look in the mirror and give a good sniff, you can see your nostrils draw inward slightly.) If the lower portion of the airway is already constricted for some reason, negative pressure increases, effectively closing off air intake. However, nasal sidewall collapse is the most common problem. Think of your nose as two side-by-side triangles. The septum that runs up the middle and the base are fixed. Only the sidewalls that form the outside of your nose are flexible. Injury and aging can cause sidewalls to weaken so that they fall inward. 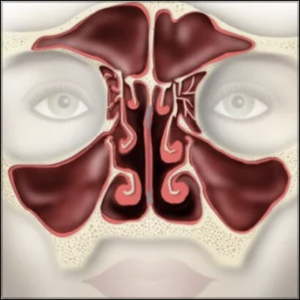 Over time, people with a deviated septum can suffer nasal valve collapse on their “good” side because that half of their nose has worked too hard to compensate for valve restriction on the crooked side. Nasal airway surgery can fix these problems so you can finally breathe easier. While this is an elective procedure, it is important to note that not having corrective surgery allows problems to get worse, which can lead to serious secondary health issues later on. For example, mouth-breathers often develop dry mouth, which negatively affects your teeth. Dr. Raval often receives referrals from orthodontists, to help patients correct their breathing problems before addressing dental issues. If you are also considering cosmetic rhinoplasty, your surgeon can combine aesthetic changes with structural repairs in a single surgery. Surgery to straighten a deviated septum is called a septoplasty. That’s different from nasal valve reconstruction, although some of the specifics may be the same depending on what’s going on inside your nose. Dr. Raval may well find there are multiple issues that need to be addressed – for example, you also have enlarged turbinates, or polyps have developed, and these are occluding your ability to breathe. This is why every surgical procedure is individually tailored to the patient. 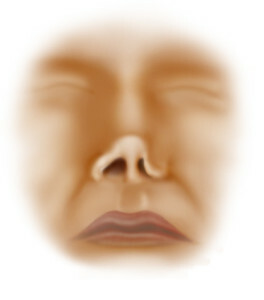 The closed technique, which has been used for many years, involves making incisions only inside the nose. Patients benefit, in that there is no chance of visible scarring. There is a distinct disadvantage for surgeons when performing cosmetic rhinoplasty, though, because they cannot directly see the work site. They have to depend on tools to “feel” their way through the procedure. Open technique is a newer method. Dr. Raval prefers this option for rhinoplasties because it enables him to see as he works. To make this possible, he makes a tiny incision across the columella (the upright structure that separates your nostrils at the base of your nose). He can then gently lift the nose skin to perform the surgery, and replace it when he is finished. The location of this incision makes it extremely unlikely anyone would notice it once your nose has fully healed. So if your nasal surgery will involve both cosmetic and corrective changes, Dr. Raval will use the open technique. For nasal valve surgery only, he will make all incisions inside your nose, except in unusual cases. How is a Nasal Valve Surgery done? Nasal reconstructive surgery is an outpatient procedure, so you will arrive and go home on the same day. 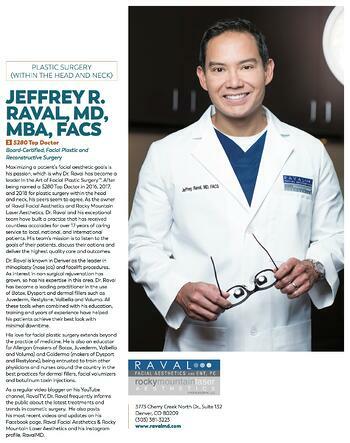 Dr. Jeffrey Raval performs all his surgeries in a top-quality, fully accredited surgical center. When your surgery is finished, you will be able to go home in about an hour. You won’t be allowed to drive, so you’ll need to arrange for someone to drop you off and then pick you up. In some cases, your surgeon may suggest that someone stay with you overnight. 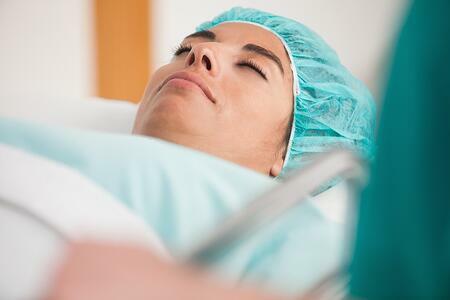 You will be given general anesthesia so you will be asleep for the entire procedure. This is quite safe for healthy patients. If you have concerns, your surgeon can arrange a phone call with an anesthesiologist to address your questions. Your surgeon will make tiny incisions, usually inside your nose. What happens next depends on what’s causing your breathing problem. In general, the procedure will involve straightening the septum and/or reducing any projections that have narrowed one or both airways. Your surgeon may delicately re-sculpt bone or cartilage and may add cartilage grafts, to restore normal air flow. You may have read that some surgeons use titanium grafts, which sounds very high-tech, but Dr. Raval prefers natural cartilage because it brings less risk of infection later on and is tolerated better by the body. The surgeon will then close the incision(s). Because they are tiny and inside your nose, you won’t have any noticeable scars. Your surgery may take only 45 minutes or so to correct nasal valve collapse or a deviated septum. If you elect to have cosmetic rhinoplasty at the same time, your surgery could last as long as 3 or 4 hours. The healthier you are, the better prepared your body will be for surgery. If you smoke (tobacco or marijuana), you will have to stop at least two weeks ahead of time and continue to not smoke after your surgery. Smoking restricts blood flow, which can hinder your recovery. You should also stop drinking alcohol at least one week before. On the other hand, exercising prior to surgery has also been shown to improve recovery, especially if you don’t exercise on a regular basis. You will wake up in the recovery room, and you will be able to go home about an hour after your surgery. You will be given detailed instructions regarding at-home care of your nose and when to schedule a follow-up visit with Dr. Raval. At first, you will have stents inside your nose, to support the new changes. Dr. Raval will remove the stents in 2 or 3 days. Most patients say they feel little pain following their surgery and have minimal to no bruising, swelling, or congestion. You will be off work for a few days. Immediately following your surgery, you will be asked to keep movement to a minimum, and avoid bending over or lifting anything. These activities put pressure on your body that can delay healing. Most patients are able to resume normal (but not strenuous) activities after about 3 days, sticking to moderate exercise for the next couple of weeks. Within a month you should be fully back in action, even with strenuous exercise. How Much Does Nasal Valve Surgery Cost? If you are having reconstructive surgery to repair valve collapse due to a previous cosmetic rhinoplasty, your surgery may cost more, because the cosmetic aspect of the procedure may be more difficult. Dr. Raval will have to revise what was done before in order to correct the problem. The risk of infection or poor healing increases with the number of prior surgeries. Ultimately, your out-of-pocket cost will depend on your copay, deductible, and other aspects of your personal health insurance policy. Will my insurance cover the cost of nasal valve surgery? Although most health insurance will not cover the cost of cosmetic procedures, nasal airway surgery is considered medically necessary because the purpose is to correct breathing problems which can negatively affect your health. So this surgery is covered by most insurance plans. Most providers will pay even when valve repair is required as a result of prior cosmetic rhinoplasty. If you plan to combine your reconstructive surgery with a cosmetic procedure, your insurance may still cover the medically necessary part of the total cost. Note that some insurance providers now require that we treat a deviated septum and enlarged turbinates first, to see if we can fix your breathing problems without nasal valve surgery. This typically involves using a medication such as Flonase or Nasacort for two weeks. If that fails, then nasal valve surgery could be performed in a second procedure. It is also possible that your insurance provider will approve septoplasty and inferior turbinate surgery first, then if that doesn’t resolve your problems, they will approve nasal valve surgery. This is why you should never assume what will or will not be covered or what other requirements your insurance company may have, because policies can vary widely. We strongly recommend contacting your provider prior to discuss the details prior to scheduling any surgery. Here at Raval Facial Aesthetics, we also suggest you talk with Davina, our in-office insurance pro. It can be confusing to understand co-pays, co-insurance and other insurance terms, and she can help clarify all that. Normal, comfortable breathing. No more snoring, snuffling, chronic headaches, or sleepless nights. That’s what you can expect from nasal valve surgery. Whether the symptoms you’re experiencing now are caused by a congenital defect, an injury, or enlarged structures within your nose, you can leave them behind. Each surgical procedure is unique because each person’s situation is different, but the results are universal: finally, a long-term solution to breathing problems. 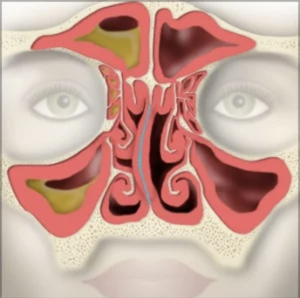 Scientific studies have proven – and patients confirm -- that septoplasty and nasal valve reconstruction can dramatically improve nasal function, at the very least. In many patients, we can restore full function. And that’s where before and after photos become so important. Besides straightening your nose as part of repairing functionality, he can also make cosmetic changes. So if there is some other little detail that has been bugging you, before and after photos will help you see other types of changes as well. Am I a good candidate for Nasal Valve Surgery? With cosmetic rhinoplasty, you can “diagnose” your own problem – there is something about the appearance of your own nose you dislike. Then, Dr. Raval can work with you to explore your surgical options and determine if you’re a good candidate for that surgery. With breathing problems, however, the diagnosis is more complicated. It has to start with Dr. Raval, because although the problem is obvious, the causes may not be. Does your trouble stem from a deviated septum? Sidewall collapse? Or enlarged turbinates or polyps inside your nose? Without determining precisely what is wrong, Dr. Raval cannot accurately discuss your options with you or lay out an effective surgical plan. Does your breathing improve if you pull upward on your cheek on the side where airflow is restricted? Does your nose look pinched on one or both sides? These are typical indicators of nasal valve collapse. Good health gives you the strongest foundation for successful surgery of any type, because your body isn’t dealing with other issues that could compromise or delay your recovery. Smoking can seriously restrict blood flow, making it difficult for your body to deliver enough oxygen and nutrients to the surgical site. That can not only delay healing, it could negatively affect the outcome. This is why we tell patients who do smoke, to stop at least two weeks prior to surgery and remain a non-smoker afterward. Without realistic expectations, your risk of disappointment is greater. Nasal valve surgery can absolutely improve your breathing. Will it be perfect? Possibly not, but then most normal noses aren’t perfect, either. When we discussed the cost of nasal valve surgery earlier, we mentioned that some insurance providers require patients to try over-the-counter measures such as a steroid nasal spray as a “first line of defense” against breathing problems. If these medications don’t alleviate your symptoms long term, this indicates to your insurer that surgery is a medically necessary for you. Insurers will cover medically necessary surgical procedures, but not cosmetic procedures. It’s a good idea to try the alternative treatment even if your insurance company does not require it, in case it does work for you. After all, if you can resolve chronic breathing problems without surgery, so much the better. Other than medications or nasal valve surgery, the only alternative is to do nothing. This is not a smart option, however, because difficulty breathing is more than an annoying “lifestyle” issue. It can cause serious, even life-threatening, secondary health problems if it’s left untreated. When you cannot breathe properly, your body cannot get enough oxygen to function properly. Oxygen deprivation negatively affects your brain and other organs, your ability to sleep and fend off infections. Disappointing results. In some ways, this can be the most significant risk – not to your health, but to your enjoyment of newly repaired ability to breathe. As we noted earlier, your goal should be significant breathing improvement, not necessarily perfection. Internal scarring that interferes with air passage. If this is likely to be a factor in your particular surgery, Dr. Raval will use post-operative splints to minimize this risk. Infection. Normal healthy patients rarely develop infections. 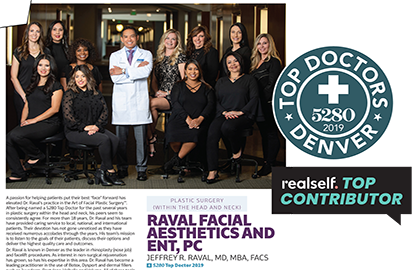 Nonetheless, to ensure the greatest possible environmental sanitation and patient safety, Dr. Raval always performs procedures in an accredited surgical center. Lingering numbness in or around the nose. Lingering pain, swelling, or discoloration. During your initial consultation, Dr. Raval will explain all the potential risks as well as the benefits of surgery. And you will have a chance to ask as many questions as you like until you feel comfortable that you understand your options. Ultimately, it will be up to you to decide whether you want to have nasal airway surgery, once you have all the information. Remember, though, that not correcting breathing problems can lead to more serious health problems later on. As noted above, you should expect to be home from work for a few days – maybe as long as a couple of weeks -- following nasal valve surgery. Most patients are entirely back to their normal routine, even vigorous exercise, within a month. The exact timeframe for your recovery will depend on the extent of your surgery, particularly if you are also having cosmetic changes made to your nose. We encourage light exercise such as walking slowly, starting as you feel up to it. You’ll be able to progress to more serious exercise such as running, biking, or aerobics after about two weeks. The better your overall health going into surgery, the faster and smoother your recovery will be. How long does it take for swelling to go down? Most patients experience minimal bruising or swelling following nasal valve surgery. Using an ice pack will reduce this risk. A bag of frozen peas makes a nice ice pack, because it will gently conform to the shape of your nose. The area around your nose will be sore at first, which could be more uncomfortable if you wear glasses. These issues should go away within a few days. How long does numbness last? You may experience some numbness at the tip of your nose and also in your upper lip or gums. This may last a few weeks, or it could last a few months, but eventually it will go away. How long will it take for the hardness to go away? Your nasal valve(s) may feel “hard” immediately following surgery. Most of that firmness will go away within 6-8 weeks, although some firmness may persist forever. How soon will I be able to breathe normally after nasal valve surgery? You will still feel congested immediately after nasal airway, but that’s to be expected – your nose will be somewhat swollen initially, and it may be packed or have splints inside. Just keep breathing through your mouth, if necessary, for the near term. Do not remove any packing material, etc. – Dr. Raval will do that when the time comes, during a post-operative visit. Meanwhile, if you experience any bleeding or discharge, you can gently da at it with a tissue, but do not blow your nose! Within two or three weeks of surgery, most patients are able to breathe normally. Do I get scarring from Nasal Valve Surgery? The incisions Dr. Raval will need to make to perform your surgery are quite small, and usually they are made inside your nose. Therefore, once your nose has fully healed, there should be no visible scarring. That said, if your particular surgery will be unusually complicated, Dr. Raval may have to use the open technique instead. This is rare, but it will result in a tiny (minimally detectable) across your columella. That said, if you are having cosmetic changes made to your nose in addition to reconstructive surgery, Dr. Raval will also make a tiny incision on the outside, at the base of the columella (between your nostrils). That enables him to gently lift the skin to directly see the site as he works. Before you leave the surgical center after your nose surgery, you will be given a list of written instructions for at-home care. If you don’t understand something, or you have questions, let us know. Dr. Raval has developed these instructions to help ensure your recovery is as quick, comfortable, and risk-free as possible, so it’s crucial to follow his orders carefully. When you have surgery, your body automatically triggers the healing process right away. That requires good blood flow, to deliver oxygen and other essential compounds to the surgical site. We definitely encourage mild exercise, because it’s good for circulation and it might help keep you from feeling “cooped up” at first. But take it easy! If you exercise too much, especially movements such as bending over and heavy lifting, your body has to redirect blood flow to those muscles. That can delay your recovery. Immediately following surgery, too much blood flow can be a problem as well. If you bend over suddenly, blood will rush toward your head. That could cause bleeding or give you a headache. This is why we tell you to keep your head slightly elevated initially. The goal is to provide a fresh blood supply to your nose, without overdoing it. 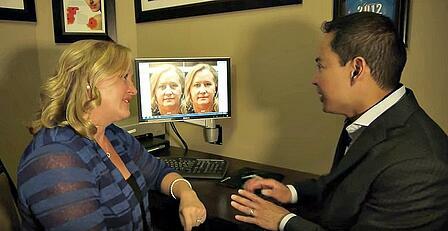 Confirm that they are board certified in facial plastic surgery. In many states, any licensed surgeon can perform almost any kind of surgery, regardless of advanced training or experience. Ask about their specific experience in nasal reconstructive surgery and experience diagnosing and alleviating your specific challenges. It can be quite difficult to accurately diagnose the cause of breathing problems, and without the proper diagnosis, surgery may not be effective. A facial plastic surgeon who is also an otolaryngologist (ear-nose-throat specialist) will have the strongest training and experience. Ask for references of previous patients who had similar breathing problems, and ask them about their experience before and after their surgery. A surgeon’s credentials and reputation build trust that they are capable of producing the result you want. But it is also important to pick a surgeon that makes you feel comfortable. They will become your medical partner in improving your breathing. And, possibly, changing your facial appearance as well. All this information is important in helping the surgeon determine if you are a good candidate for nasal airway surgery, because it provides a complete picture of your overall health status. The surgeon may also examine your face to help accurately diagnose the cause(s) of your symptoms before recommending a surgical plan tailored just for you. The surgeon will also explain the risks involved and the results you can expect. 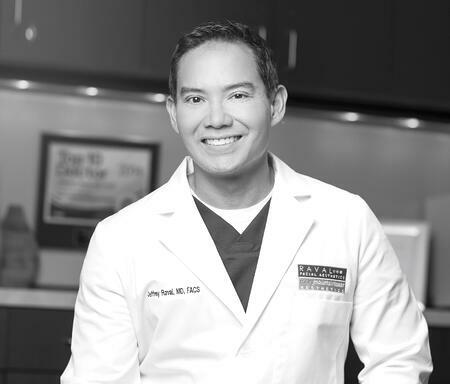 Jeffrey R. Raval, MD, FACS is board certified by the American Board of Facial Plastic and Reconstructive Surgery and the American Board of Otolaryngology/Head and Neck Surgery. He is a fellow of both the American College of Surgeons and the American Academy of Cosmetic Surgery. But what really sets Dr. Raval apart is his passion for the nose. He is a skilled facial plastic surgeon, but nasal surgeries are his favorites. 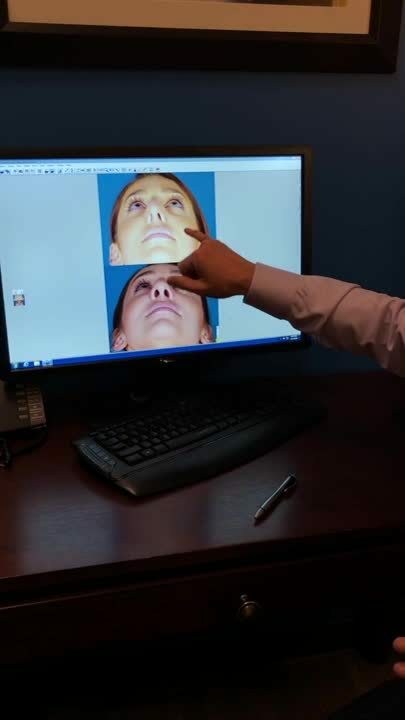 He especially enjoys reconstructing airways and improving the nose’s aesthetic form at the same time, using his years of practice to achieve a beautiful nose that works better. 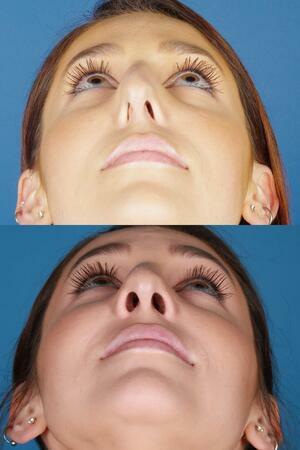 He has successfully performed more than a thousand cosmetic and/ or reconstructive rhinoplasties. So what can nasal airway surgery do for you? It can allow you to breathe normally and comfortably and sleep better, for the rest of your life. Having read through all this, you have a good idea what the surgery involves and what to expect. You may feel ready to move forward, or you may have more questions, but either way, the best next step is to schedule a private one-on-one consultation with your rhinoplasty surgeon.